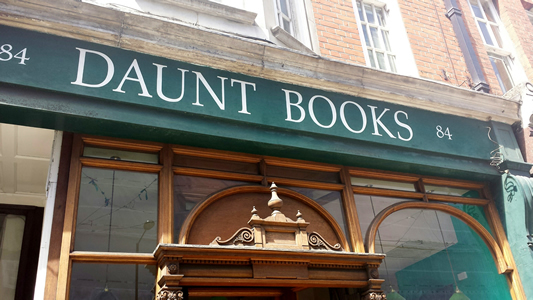 Daunt Books, is a shop on Marylebone High Street, London (although there are a few stores at more locations including Chelsea and Hampstead amongst others). 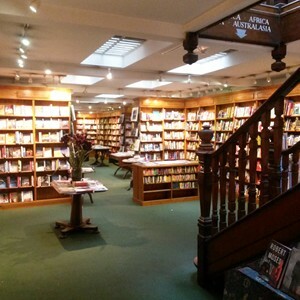 The book shop specialises in Travel books and literature. The front of the shop hints at the wonders hidden inside, but nothing could prepare you for the elegant sights that are offered. Heading to the back of the shop you can see the true beauty the shop has to offer. 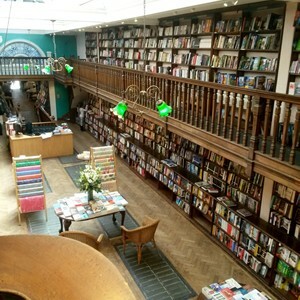 An original, Edwardian bookshop, the shelves are made from smooth oak. 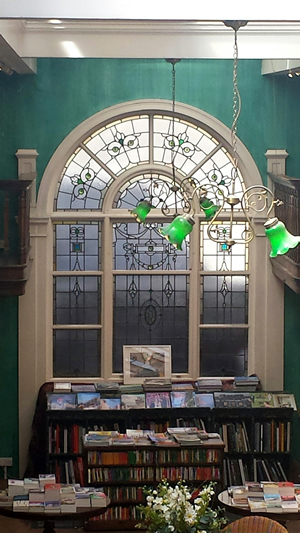 Filled with books on the ground floor, downstairs and upstairs, it really is a magnificent sight. 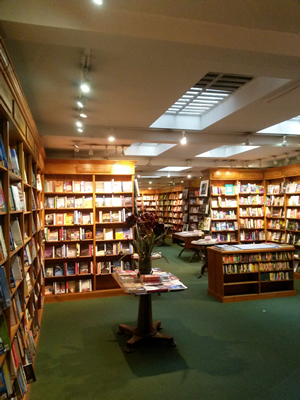 Starting at the back of the store, on the ground floor, we began to browse the shelves of books. 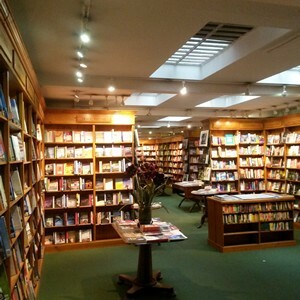 The books were organised in a unique way, I have yet to see in another store, by origin. 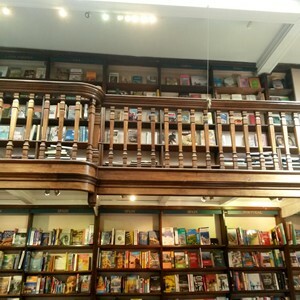 Each shelf given its own country and filled with novels by authors from Scandinavia, Asia, Africa, American, England etc. Heading downstairs we explored books by authors from America, South America, Africa and many more. Heading back upstairs to the ground floor and then up again to the upstairs area. 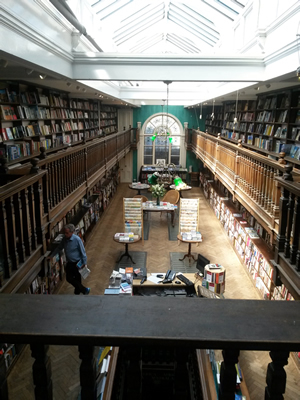 From up here on this balcony, you can see the shop in its full glory. 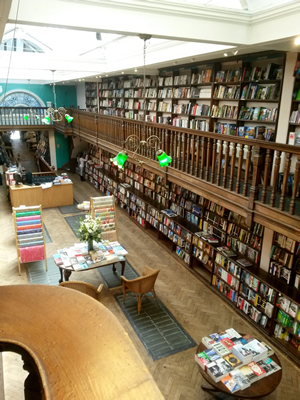 Looking down at the shelves below, or along to the shelves ahead. 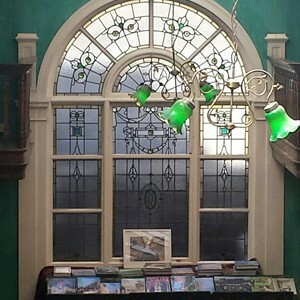 A spectacular stained glass window at the end of the shelves, that lets in an extraordinary light which bounce off the spines of the books. 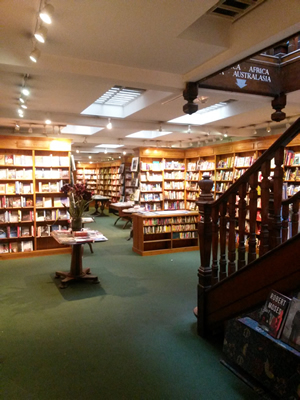 Heading back downstairs, we went to the front of the shop to explore the rest of the books. 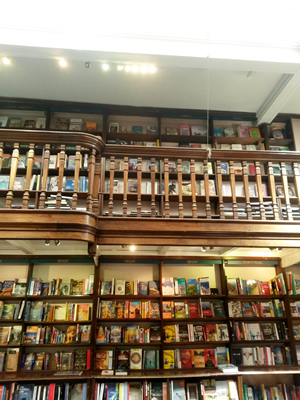 These shelves included many more books including a section of children’s books and my favourite section in all bookshops, the Penguin Classics section. Here of course I found a book I wanted to buy. 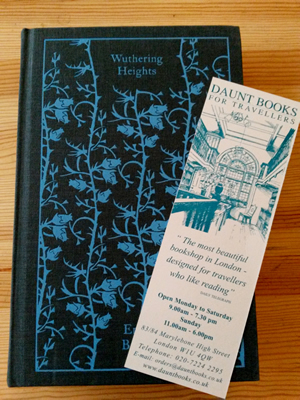 The book that caught my eye was a beautiful, Penguin Classics edition of one of my all-time favourite books, ‘Wuthering Heights’ by Emily Bronté. 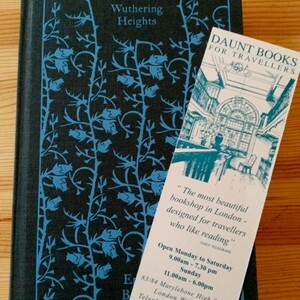 Heading to the till, book in hand I paid and the shop assistant bagged up by book, sliding a Daunt Books bookmark into the bag with it. 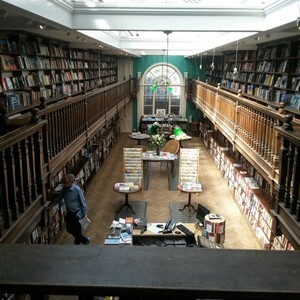 I would definitely go back to Daunt Books, both to explore the books and to take in the amazing sights from inside the bookshop itself. 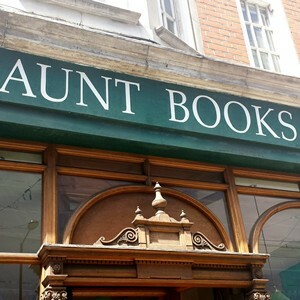 Perhaps next time I’m in London I can visit one of the other branches.